I’m not quite sure when it was that I first discovered Radley. That little Scottie dog captured my heart and ever since I have been head over heels for him. Over the years I have stalked many of my local department stores as the new collections have been released. Making a list of my favourites and casually leaving the list lying around the house in the hopes that the birthday and Christmas fairies would see it and bring me a special treat. With various Radley bags and purses sitting proudly on the shelf in my wardrobe Mr. Boo can’t quite understand my need to add another. Sadly he doesn’t understand that certain purses only match certain bags and other maybe too big or too small for another. 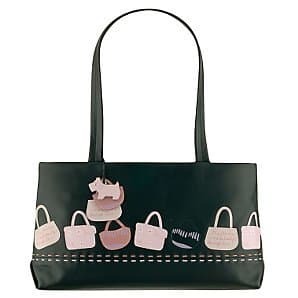 One of the Radley bags that I loved but never managed to get hold of was the Radley IT bag, a beautiful black shopper style bag with different pink handbags applied across the bottom – stunning. Earlier this year I was lucky enough to get my hands (or should I say wrist?) on a Radley watch for Mother’s Day. I had looked at the Radley accessory range before but ever really taken note of their watches. It is gorgeous and the navy strap means that it looks great with any outfit. Plus when I look at the time my little Radley dog is there to make me smile. As my wedding anniversary approaches Mr. Boo has asked me if there is anything that I have my eye on. After taking a look through my Radley collection I note that I don’t have a Radley clutch bag. A little something that I can pop the essentials in and grab when I head out for dinner with the girls or on a rare night out with Mr. Boo. Mind you with the 5p carrier bag charge, I could do with some Radley shoppers for when I’m in the city. Although that’s not a very exciting anniversary present is it? I’ll stick with the Radley clutch bag! Do you have a favourite designer brand? 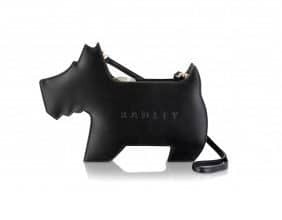 Disclosure: This is a collaborative post, however, I adore Radley! Radley is adorable! I, too, love the dog! I also really love Coach, but I’d need to come into some substantial funds before I could even contemplate one of those bad boys. I LOVE that clutch! Too cute. That little silver dog has kept my daughter amused in church many a time, he is like an old friend now. Love Radley. Oooh that clutch is super cute! I’ve never owned a Radley bag but they are lovely 🙂 TkMaxx is a guilty pleasure of mine – so many gorgeous bags there!! I love their over the shoulder bags. I have a black and a brown one, which go with most things but I covet a teal one or a yellow one. I agree, their bags and accessories are gorgeous. I must admit I don’t do Radley- but have so many friends who do. I have a Mulberry bag which Mr J bought me pre-children (couldn’t justify spending that now!!) and I still love it as much as the day he gave it to me. Favourite bags are more than justified!